After we took a look at all the microSD’s from the 64GB, the next consumer category that is up and rising is the 128GB category. Right now, it is limited to mainly this 3 brands: Lexar, SanDisk and Samsung. Samsung is the last of the 3 big brands to put their offerings onto the market, and they have released this under their Samsung EVO line, which is their mid-range or rather, lowest end offering for the microSDXC series. Like its predecessor, the 128GB also offers up to 48MB/s of transfer speed and comes in similar designs. 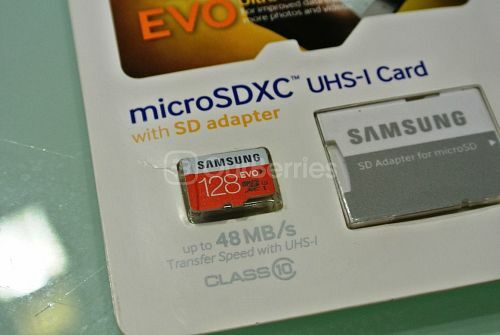 Coming with a microSD to SD card adapter, the card retains the same design as the 64GB variant, with 2 main background – White and bright orange. The top white portion contains Samsung’s branding whereas the bottom orange portion says the capacity, series and ratings. On the reverse of the card, we have the model, serial number and the manufacturing origin, which in this case, is Korea. This is identical to the 64GB, except for the fact that the back now is matte instead of being glossy. So like the predecessor, the card is rated up to 48MB/s and Class 10/UHS-I rated. So how will this match up? Overall, the speed here is pretty much similar and consistent with the 64GB counterpart, less the random speed performance for some unknown reason. In fact, this is the card that showed the closest performance to cards in the same series. This card seems pretty cool compared to the SanDisk variant but it clearly loses out to the higher end Lexar card. However, there are reports of this card melting after a prolonged data transfer although we have not actually faced this issue. That said, backed with a 10 year warranty, similar to that of SanDisk, having a slightly faster speed than SanDisk and priced similarly to SanDisk, it is worthwhile to consider this baby, although the street price for the Lexar has made it similar to them all. As such, we recommend you to take a look at Lexar‘s offering first before considering this. 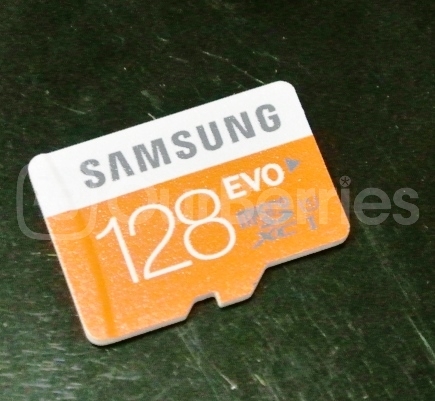 Hey, wonder if you had the same tests for Samsung EVO Plus 128GB? I’m particularly interested in 4K block size write and read speeds as the EVO 128GB seems to be very poorly performing compared to the EVO 64GB. We are currently looking into it, but from what we know (seen from vendor’s test), there is not much difference, main difference is with the sequential read speed only. However, we are still trying to get our hands on one! 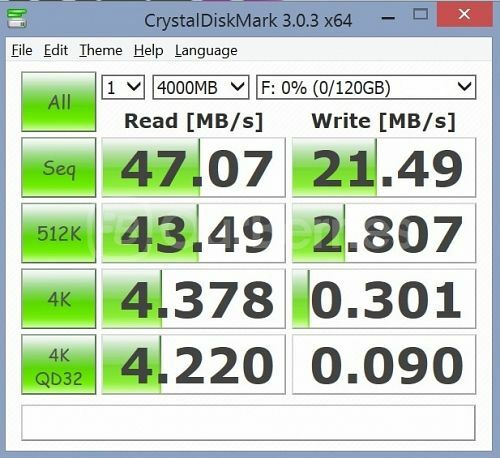 the 4K random read / write, is vastly slower than the 64GB evo. For me it means this card is useless for installing programs on my atom eeePC. The 64GB evo is pretty good, but if these results are correct, the 128GB version is over 250% slower than the 64GB… it’s very disappointing. Yes the results are accurate. We have ran it a few times to ensure consistency. In fact, i have tested it on 3 of the same cards in this case. The fact that Samsung puts it as UP TO and correspondingly, Class 10/UHS-I only, means that the performance can be between 10MB/s – 48MB/s and for the 128GB. Could you let me know where did you derive the 250% performance difference from? Sequentially as a ‘thumbdrive’, it works pretty equal to the 64GB counterpart. However, in the random for small files however, is another case altogether. 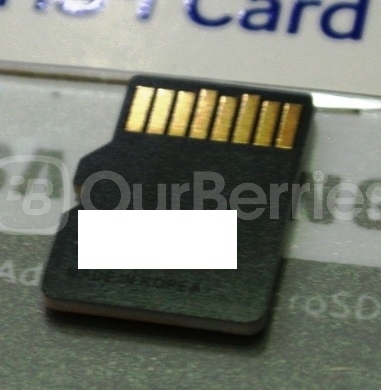 You’re right if using the card as a storage device, then it’s not going to make much difference. But the Samsung Evo cards have a reputation in the tablet, ultra-portable and raspberry pi communities,due to the number of IOPS the cards can do, over almost all other cards. 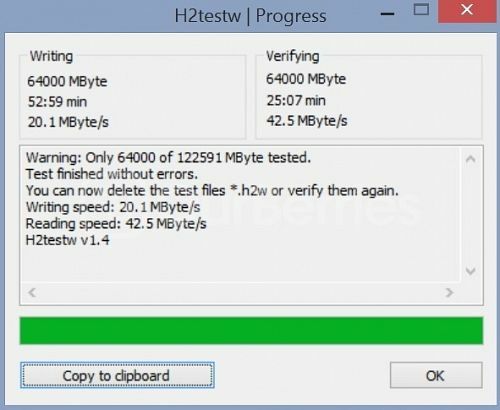 The random 4k read + write (50MB file size test) on my 64GB Evo scores, 7.68 MB/s and 4.38 MB/s respectively, compared to 5.11 MB/s and 1.26 MB/s on the 128GB card. 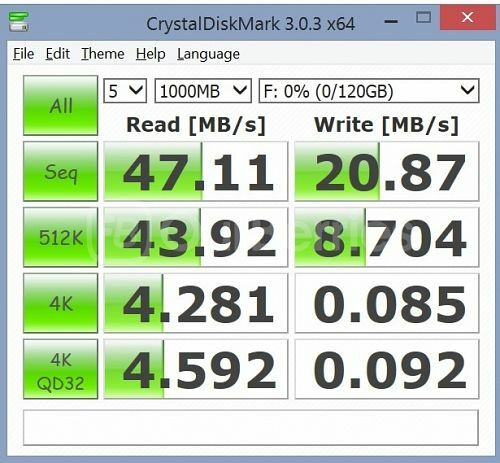 The random 4k QD32 read + write (again 50MB file size) scores, 9.69 MB/s and 4.38 MB/s respectively, compared to 6.03 MB/s and 1.58 MB/s on the 128GB card. Without getting my calculator out that’s about 250% faster. Now, larger file sizes are not relevant for random read write speeds but just for comparison the 64GB card is roughly 10 times faster for the 1GB file size test. If you are simply storing files, copying and watching movies ect. you won’t notice a difference, but if you plan on using a 128GB evo as a system drive with a raspberry pi or a chrome-book, or as in my case the asus X205TA with windows 10, so i can install more programs or games, the 128GB is a lot slower, so in my case it’s next to useless. The 64GB evo is quick, one of the fastest cards you can get for installing programs on the random read write is very important. 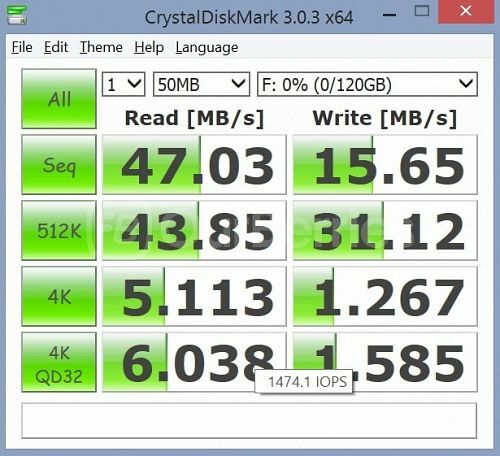 Using the 64GB Evo, the speeds in real world use are between feel somewhere between a traditional 2.5″ 5400 rpm Sata HDD, and a SSD. I have installed some of my old favorite games (oblivion and fallout 3) and the scenery load times are quick with the evo 64GB… the 128GB card just can’t be used in the same way. I see you are referring to the random speeds. Unfortunately, with respect to a couple of points, I have to disagree heavily. 1) For storing and copying of files, and even watching videos, there can be a huge different, in special respect to the up and coming 4K resolutions or Blurray qualities. xtramadness im not sure you understood my comment. 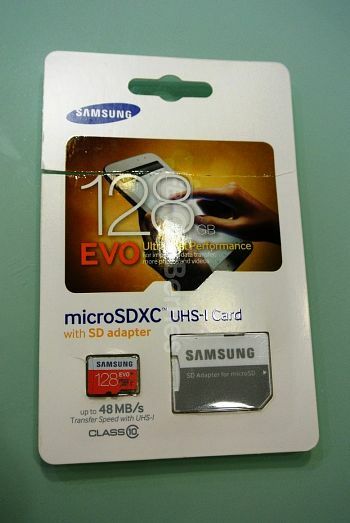 I’m talking about the difference between a 64GB and a 128GB Samsung Evo card. Yes I do. However, because you mentioned EVO as “one of the fastest cards”, I need to correct that statement, simply because it is not true. However, in retrospective, yes, the 128GB evo card is definitely slower than the 64GB evo (same as the other competing products/brands/cards) as well. 1. I tested it with its SD adapter (it could reduce the speed? 5. Purchased it on amaz…. online shop. We have tested this against 5 samples to almost similar results.